In 2002, the architect and designer William McDonough, accompanied by German chemist Michael Braungart, published the book “Cradle to Cradle: Remaking the Way We Make Things”. They proposed a new way of interpreting the economy as something sustainable over time, in producing goods thinking in advance of the second use of the materials that compose it, in the transformation of products into services. 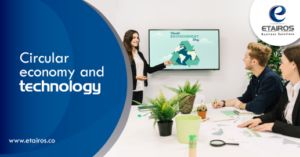 These concepts are part of a global trend called “circular economy” in which the model of producing to dispose is being changed, in a much more friendly and sustainable way with the environment. “Circular economy” repairs and regenerates; in it the products, components and resources retain their value and usefulness until they are completely exhausted. A report of “The Conference Board” of 2015 indicates that normally this type of initiatives are perceived in the first instance as expensive and something “nice-to-have”, however when including such initiatives to the strategic planning of the companies (supported by investments in R & D), a portfolio of sustainable products can attract more customers and investors, drive innovation, radically accelerate the pace of growth and generate more business opportunities. Technology is no stranger to this global trend, and over time have been emerging applications or technological developments generally on which many companies rely to offer sustainable products, for example, “Hello Tractor”, a company based in Nigeria, makes use of mobile technologies to facilitate access to more than 250,000 farmers in that country to rent services on demand of tractors. As technology advances, it brings unimaginable opportunities to transform the way business is done today. Digital, physical and biological technologies are maturing rapidly and in some cases show exponential growth in their application and consumption (eg. Blockchain) in this new economy. 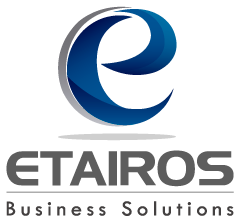 Since its foundation, Etairos has always considered within its strategic planning the development of new products and services, support to the R & D area and the conservation of the environment. It is our purpose to support and develop technological initiatives related to the sustainability of the planet, create products / services that allow us to unite more people with who can meet their needs and devise solutions that minimize the pollution of the planet.